The debut album from country-pop breakout Melanie Dyer, Fresh is, fittingly, a true gem. It’s an apt description for the work of an artist raised in the picturesque surrounds of Inverell in Northern NSW – Australia’s famed Sapphire City. Few debut albums achieve the kind of multifaceted sparkle that Melanie Dyer delivers with Fresh. Few young singer-songwriters have covered more live ground than Melanie. 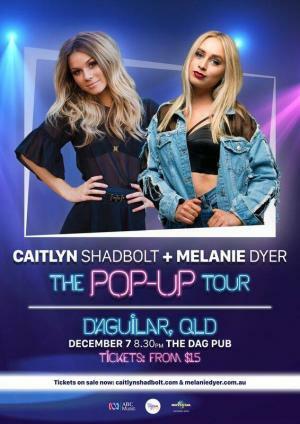 Having appeared everywhere from Gympie Muster to CMC Rocks – where she has performed alongside the towering likes of Luke Bryan, Jason Aldean and Kelsey Ballerini.